ITC member WebCAD released a new version of its CAD drawing software, NewCAD 3D 2017c, on January 17, 2017. 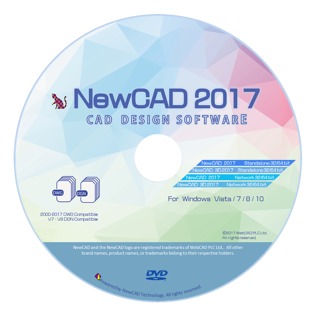 NewCAD 3D 2017c is based on the most up-to-date IntelliCAD engine, version 8.3. NewCAD 3D 2017c includes new features such as drawing tabs for easy navigation, gradient hatches, Filter command, eTransmit command, and much more. For more details, see http://www.webcad-plc.com/product/features.html. ActCAD 2018 is now available, based on the most recent IntelliCAD 8.3 release. ActCAD is general purpose CAD software delivered by ITC member ActCAD Engineering Solutions. ActCAD 2018 is available in Professional and Standard versions, including 64-bit and 32-bit. For more details about features and additions in the latest ActCAD release, see http://actcad.com/actcad-2018-software-versions-released.php.